Thank you for electing to join us this week for our concluding installment of the series, “Educating Apartment Building Owners on Bed Bug Heat Treatment”. Last week, you learned that bed bug infestations are on the rise and becoming increasingly prevalent throughout the United States. These nasty and annoying pests are found in various types of buildings and complexes. Essentially, any location where a person stays or visits is a location where bed bugs could be lurking. For the purpose and intent of this series, we have elected to place a special emphasis on apartment complexes. As an owner of such a housing unit, it is imperative that you become familiar with the number one treatment for the successful elimination of bed bugs and that is the innovative heat treatments now being used by All Pest Exterminating, Inc. Here, we will expound on how this treatment works. Whole-home heat treatments are considered to be a superior and highly-effective solution to eliminating bed bugs and their eggs. This is an ideal solution for homeowners that desire an approach that does not involve potentially dangerous chemicals and other toxins. The heat that is emitted from this type of bed bug treatment has the potential to penetrate the cavities of the walls throughout the home, the mattresses, deep within the fibers of furniture, and other locations where bed bugs hide and thrive. We here at All Pest Exterminating, Inc. take special care to ensure that the heat from this treatment is properly and evenly distributed throughout the entire home. Many pest control agencies use heat boxes and similar devices; however, these methods will only eliminate the bed bugs in which they come in contact. The whole-house heated approach is the only way to quickly and effectively eliminate bed bugs, 100%. Additionally, even the strongest pesticides and insecticides available on the market today that have been proven to kill bed bugs are not capable of doing so in such an efficient and complete manner as our heated bed bug treatment. Throughout recent years, it has been determined that pesticides are becoming increasingly ineffective in successfully combatting bed bugs because of the fact that the insects have now developed a sense of resistance to these compounds. Furthermore, the eggs laid by those resistant to the pesticides are also resistant. 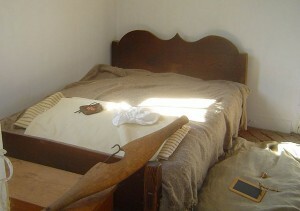 However, there is no capability of bed bugs to acquire a resistance to heat. This is why so many people are now moving towards this form of treatment. If you are ready to get rid of those nasty bed bugs – once and for all – we can help! Currently, if you visit our website, you may sign up to receive a coupon worth $25.00 off of your whole-house heated bed bug treatment. This highly-efficient and environmentally-friendly approach is quick, with a very easy clean-up! If you have children, the elderly, or pets in your home, you are sure to appreciate this very safe and non-toxic method of elimination. For more information, simply visit us today by clicking HERE.